I found this recipe at this website but have made a few modifications. Firstly, I prefer fresh to canned whenever possible. It just tastes better. Plus, I decided on lime instead of lemon. I prefer the taste. Finally, I add more cilantro to mine. 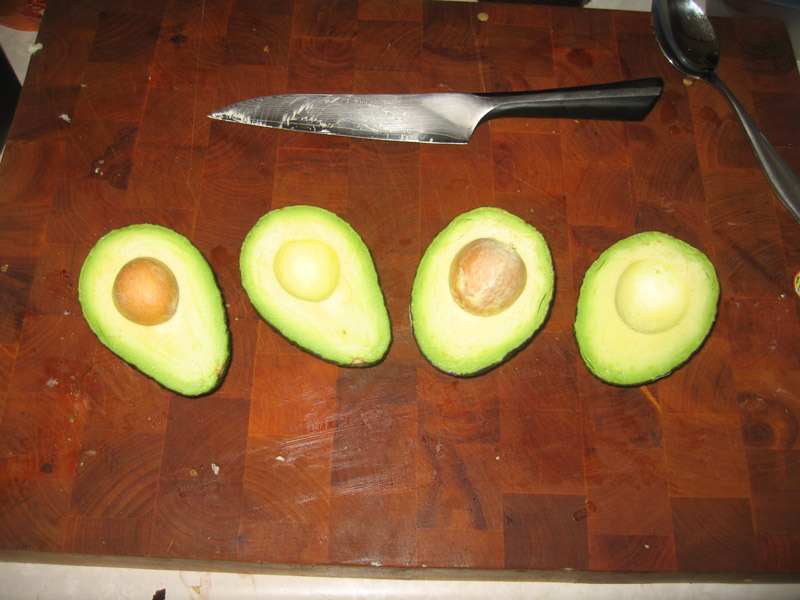 Cut the avacados in half, remove the pits, and spoon out the soft flesh. 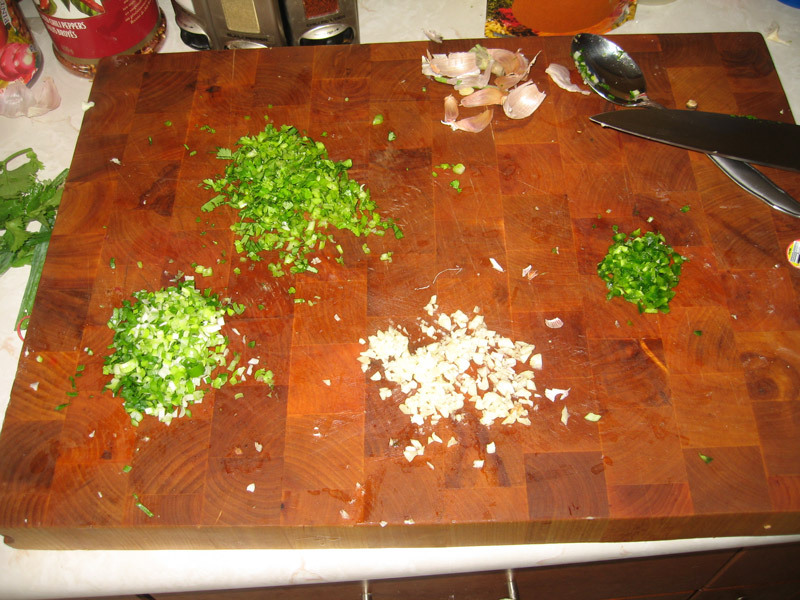 Chop up the cilantro, jalapeno, green onion, garlic, and tomato. 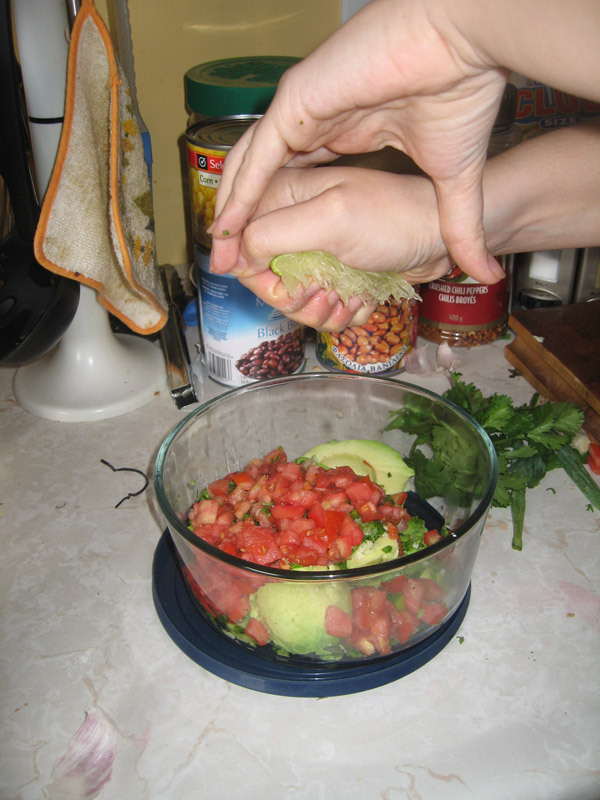 Add to the bowl with the avacado. Add your salt and pepper. 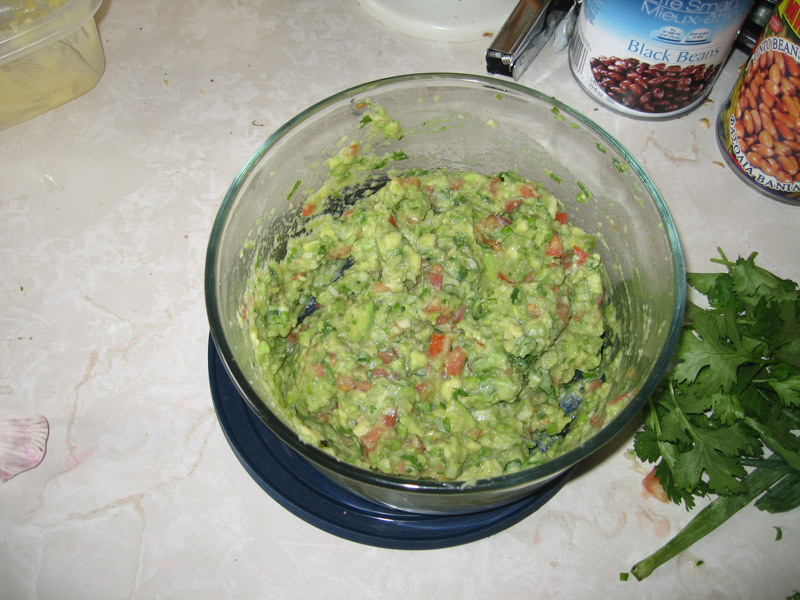 Refrigerate your guacamole for at least an hour so that the flavours combine. 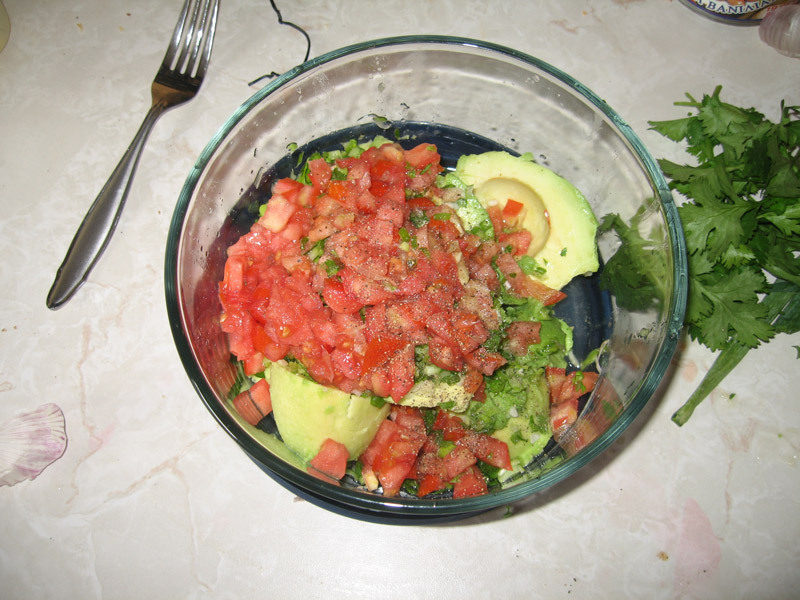 It goes well with chips or on a burrito or just alone if that’s how you dig your guac.